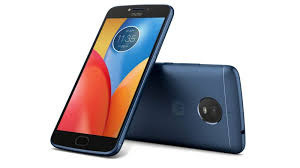 In the Moto G line, Motorola is introducing the Moto G6 and G6 Play.While the first two will sport dual rear cameras, the last model in the series will have a single sensor, meaning it will be more towards the entry-level side than the mid-range segment. There will also be a G6 Plus, The G6 and the G6 Play are similar looking phones, with curved edges on the back and 18:9 displays with thin bezels on the front. They feel nice, though the standard G6 gets closest to a flagship-level build, with a really nice Gorilla Glass back (at least until it picks up your fingerprints), instead of the polymer glass on the Play. Moto G6 — price tipped to be $249 (roughly Rs. 16,000) — is said to have a 5.7-inch Max Vision display with 18:9 aspect ratio and full-HD+ resolution. The leaked images, however, show a prominent chin below the display, so the handset won’t be as bezel-less as you may want it to be. It will reportedly be a dual-SIM smartphone running Android 8.0 Oreo, and will be powered by a 1.8GHz octa-core Snapdragon 450 processor with 4GB of RAM. 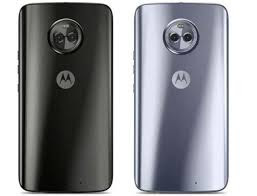 In terms of optics, Moto G6 is said to sport a 12-megapixel rear camera with LED Flash and 5-megapixel secondary rear camera. On the front is a 16-megapixel camera. The inbuilt storage of the phone is 64GB internal storage, expandable via microSD (up to 128GB). Connectivity options include 4G VoLTE, WiFi 802.11 b/g/n, Bluetooth 4.2, GPS. It will be fuelled by a 3000mAh battery with Turbo charging. It is said to have a 3.5mm jack, micro-USB port, and fingerprint sensor below the display. Then there are the new Moto E models, the E5 Play and E5 Plus. (There’s also a regular E5 model that won’t launch in the US.) Normally, the E line isn’t as nice as the G line, but that’s not entirely the case when it comes to the E5 Plus. The E5 Plus has a 6-inch screen with a resolution somewhere over 720p, a Snapdragon 435 processor, 3GB of RAM, and 32GB of storage. It only has a single 12-megapixel rear camera, and it has polymer glass on the back. Overall, it feels a bit rounder and bit less sturdy than the G6, but you still might want it for one big reason: it has a 5,000mAh battery, which is just huge. Moto G6 Plus, w will have a large 5.93-inch touchscreen panel with 18:9 aspect ratio and full-HD+ resolution. Another dual-SIM smartphone running Android 8.0 Oreo, the Plus model packs the Qualcomm Snapdragon 630 SoC, coupled with 6GB of RAM. It is said to have 64GB of inbuilt storage that is expandable via microSD card (up to 256GB), and fuelled by a 3200mAh battery. It also has the fingerprint sensor in front, a 3.5mm earphone jack, and a micro-USB port. The Moto E Play, on the other hand, isn’t much to marvel at. It looks a lot like older Moto E and G phones, with a plastic body and a 16:9 display. 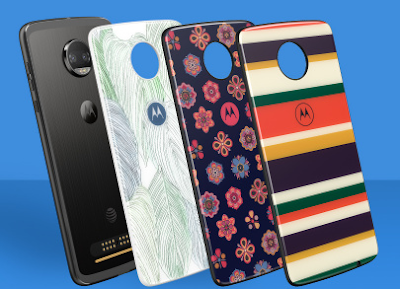 It actually feels really nice — Motorola’s made a lot of phones in this shape, and it’s really good at making them — but it’s clearly not meant to wow anyone. The real weak point is the 5.2-inch display, which is listed as “HD” but looks pixelated and washed out compared to any of the other phones Motorola announced today. It also has a surprisingly small battery for a Play phone: only 2,800mAh, though it is removable. Motorola plans to launch all of these phones sometime this spring, likely in May or June. The G6 will sell for $249 and the G6 Play will sell for $199 in their base configurations. We don’t have pricing yet for the E5 Play and Plus because that’ll be up to phone carriers. They’ll likely start in the $100 range, but it’s possible that the E5 Plus will get into Moto G territory. Even if that’s the case, Motorola is hoping that carrier subsidies will make these phones even cheaper. The Moto G phones are launching globally, except for the G6 Plus. The G6 Plus actually comes out sooner than everything else, launching in Brazil today and Mexico next week. It’s supposed to come to parts of Asia Pacific, Europe, and Latin America in the future, selling for around €299 (about $370 USD). The Plus model will be somewhat larger and higher-end, with a 5.9-inch display. The Moto E5 Play will launch globally, but the E5 Plus is only going to be available in the US. There’s also a standard E5 with a 5.7-inch screen and an 18:9 aspect ratio that’ll sell for €149 (about $185 USD) launching in the regions listed above. ← eBay Simplifies Selling: Now Sellers Can Autofill Their product On eBay By Scanning Product barcodes.